I saw that LuaTeX seems to support the ccmp feature. I am wondering how can I type this character. This question is for my curiosity and just for fun. Because the question is tagged context here a version of Will's solution for ConTeXt MKIV. Direct download of Biang Heavy. Not the answer you're looking for? Browse other questions tagged luatex context opentype or ask your own question. 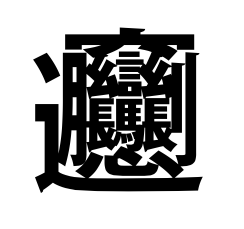 Noto CJK font not usable with ConTeXt?